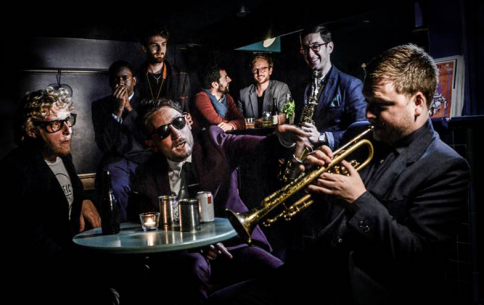 With two critically acclaimed albums and a sold-out headline tour to their name, this group of self-professed ‘jazz addicted twenty-somethings’ are one of the best live acts around. Moving through swing, blues, R&B, New Orleans jazz and gospel, they have developed a sound of their own, steeped in heritage and crossing generations. The Kansas Smitty’s Wrecking Crew – the rhythm section of the Kansas Smitty’s House Band led by saxophonist Giacomo Smith – are here for three nights only in the Smittys’ third visit to the Festival. Expect the late-night party atmosphere and cocktails that have become synonymous with their shows, as they are joined by very special guests from across the Festival. If you wish to see more of the Kansas Smitty’s Wrecking Crew, they’re also here on Saturday and Sunday.